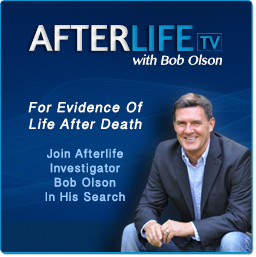 Bob Olson, author of Answers About The Afterlife,is a former skeptic and private investigator who began investigating the afterlife (and therefore psychics and mediums) after the passing of his father in 1997. Bob Olson’s father died of lung cancer at the age of 64. Bob was just 35. The painful event ignited spiritual questions for Bob that he’d never before considered. Is there life after death? If so, what evidence exists to prove it? And, if one could prove the existence of an afterlife, was it also possible to know if our deceased loved ones exist in this afterlife, if they are okay, and if they are watching over us? So his father's death became the catalyst for Bob's investigation of the afterlife. Throughout Bob’s investigations, he has tested hundreds of psychics and mediums around the globe and, resultantly, has become a leading authority on the subject with TV, movie and documentary producers, newspaper and online journalists, radio hosts, book publishers, event promoters, as well as law enforcement agencies and private investigators. 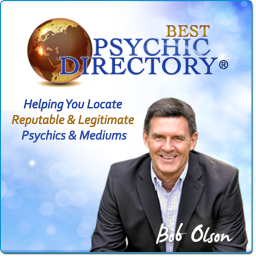 If someone needs to understand the abilities, personalities and intricacies of the psychic and medium world, Bob Olson is the only leading psychic, medium & afterlife expert who’s not a psychic or medium himself. Bob’s achievements in psychic and medium investigation have further allowed him to evaluate and isolate the key components that set apart the best readings from the mediocre, leading him to create his famous, although secret, 15-point test. Today, Bob trains psychics and mediums from all over the United States and Canada on how to improve the structure and delivery of their readings based on principles of ability, ethics, integrity, responsibility, delivery and professionalism. 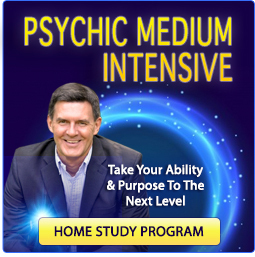 His Psychic Medium Intensive audio program has received high praise among top psychics and mediums. Today, Bob has a reputation in the spiritual and paranormal industry as a man of high integrity and ethics. While some people see him as the watchdog of this field -- especially within the psychic and medium industry (because his standards for readings have grown to become so difficult to meet) -- he is also a trusted voice for the public because of this reputation. 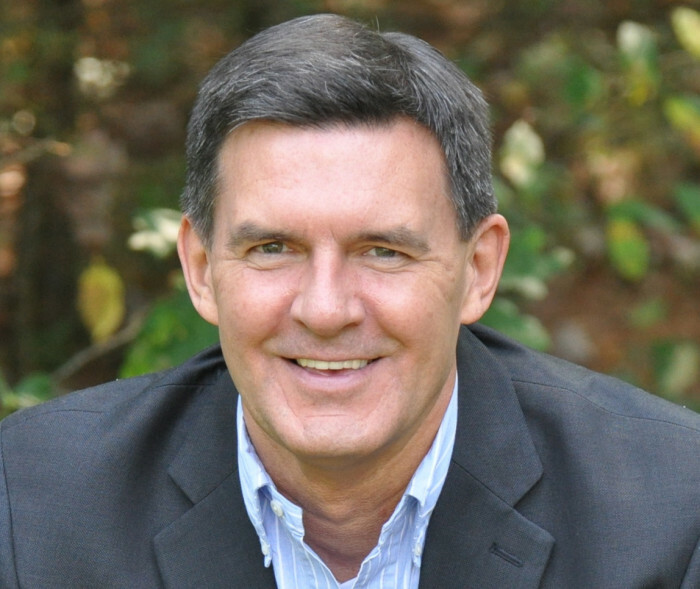 Since graduating college in 1985 with a degree in Criminology, Bob worked as a licensed private investigator in both Massachusetts and New Hampshire. He investigated cases involving fraud, adultery, personal injury and even murder. In fact, he worked for some of the most prestigious law firms in Boston, including Swartz & Swartz, Hill & Barlow, and Sugarman & Sugarman. Bob has always preferred evidence over conjecture, not just in his work but also in his spiritual beliefs. He was raised Catholic but was never sure he even believed in God. Without evidence, he remained cynically skeptical. And this is how he began his investigation into the afterlife—skeptical, though open minded enough to be willing to investigate it. Bob Olson’s initial research into the afterlife led him to establish OfSpirit.com Magazine in the year 2000. With 3000 pages of articles and interviews, it became one of the most influential Internet resources in the mind/body/spirit field. 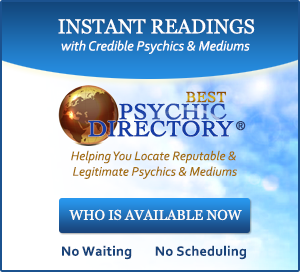 Bob also founded BestPsychicMediums.com in 2002 and BestPsychicDirectory.com in 2007, two trusted sources for locating genuine and legitimate psychics and mediums. Then in 2011 Bob founded AfterlifeTV.com to educate people about life after death. 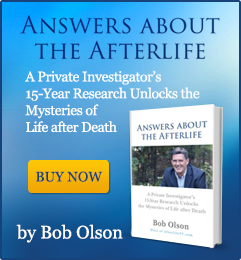 In 2014, Bob authored the book Answers about the Afterlife: A Private Investigator's 15-Year Research Unlocks the Mysteries of Life after Death. After his first year investigating mediums, Bob expanded his exploration to other supernatural experiences, including past-life regression, near-death experiences, ghosts and hauntings, channeling, divination, spirit writing, energy healing, medical intuition, out of body experiences, remote viewing, animal communication, meditation and more. Whenever possible, Bob underwent his own personal experiences in order to share the most extraordinary of them in writing with his online audience. As a result of these articles, people have traveled from all over the world to have their own private experiences with the same practitioners. Most recently, in 2017, Bob wrote a book of fiction that uses story to teach what he learned about "life" while investigating the "afterlife." This book is The Magic Mala: A Story That Changes Lives, which is currently being made into a movie.